After a guilty verdict at trial, you should retain an experienced criminal appellate attorney to handle the next phase of the case. The attorney that handles the appeal is often different than the attorney that took the case to trial. By taking a fresh look at the case, the criminal appellate lawyer will often see issues missed by the trial attorney. Criminal appeals are difficult and time-consuming. The attorney that you hire must carefully review every word in the transcripts looking for errors that occurred. The attorney must file the brief and argue the case during oral arguments. At the Sammis Law Firm, our criminal appellate attorneys in Tampa, FL, represent individuals pursuing a direct criminal appeal throughout the State of Florida. Direct appeals typically occur after a “guilty” verdict at trial, but a direct appeal can also be filed after a violation of probation hearing or a plea reserving the right to appeal a dispositive motion in both misdemeanor and felony cases. If you need an attorney for a direct criminal appeal, contact the Sammis Law Firm for a free consultation to discuss the case. Our top criminal appellate attorneys handle direct criminal appeals throughout the State of Florida, including Hillsborough County, Pinellas County, Pasco County, Polk County, and Hernando County, FL. We are experienced in every aspect of criminal appeals including reviewing rulings on pretrial motions to suppress or exclude evidence, evidentiary rules made at trial, challenges to the sufficiency of the evidence, and challenges to the judgment and sentence imposed by the trial court. With offices in Tampa in Hillsborough County and in New Port Richey in Pasco County, our attorneys also represent juveniles after a guilty verdict who need an attorney for a direct appeal from juvenile court. We were hired for a direct appeal after a DUI conviction in Pasco County at the New Port Richey courthouse. Another attorney took the case to trial but we were selected to handle the appeal. We won the direct appeal because of several improper comments made by the prosecutor during the closing arguments in the case. The improper arguments created the perception that the defendant had a burden to produce evidence of innocence. The prosecutor’s comments were so improper that the trial was deemed fundamentally unfair even though the defense did not object to the prosecutor’s improper arguments at trial (we did not represent the client at the first trial but only on the direct appeal). Because the State could not demonstrate on appeal that the error was harmless the conviction was reversed and remanded for a new trial. The direct appeal was decided by Circuit Judges Linda Babb, Shawn Crane and Daniel D. Diskey. The case was set for a second trial on October 12 – 13, 2015, at the courthouse in New Port Richey in Pasco County before Judge Marc H. Salton. This time, Leslie Sammis and Jason Sammis represented the client at trial and the jury returned a “not guilty” verdict on the only pending charged of a second DUI. Read the order – CRC140 0 3570 CFAWS. We were retained to represent a woman who had been convicted of a third-degree felony after a jury trial in the Circuit Court for Pinellas County before the Honorable Philip J. Federico, Judge. The Second District Court of Appeals reversed the conviction. On appeal, the Court found that the trial court should have granted the woman’s motion for judgment of acquittal (often called the “JOA”) because the evidence was insufficient to support the conviction. The case was reversed with instructions that she should be forever discharged of any criminal wrongdoing. The case involved an accusation of improper towing by an attorney who parked his leased BMW at a nearby condominium complex where he was not a resident while he attended a Tampa Bay Rays baseball game. The condo resident called our client’s towing company who towed the vehicle. The attorney called the police to report that the vehicle had been improperly towed, and that the owner and operator of the towing company refused to release it to him that evening. In a premier prosecution under Section 715.07(2)(a)(1)(a), Florida Statutes (2008), the owner of the towing company was charged with a felony offense. She was represented by another law firm and convicted of that charge after a one-day jury trial. We were retained to handle the direct criminal appeal. The Second District Court of Appeals found that the trial court committed reversible error when it denied the woman’s motion for judgment of acquittal. The trial court failed to recognize that the State did not charge that Mrs. Franzone was individually responsible for the criminal acts (if any) of the LLC. And the State’s evidence failed to demonstrate that Mrs. Franzone was personally provided with any statutorily referenced request by Peter Donnantuoni to redeem his vehicle. Read the entire opinion here – 2D09-4085 / Franzone v. State. An appeal is a request for relief from an appellate court. An appeal from the state court is first heard by one of the Florida District Court of Appeals. An appeal from a federal court is first heard by the United States Court of Appeals for the Eleventh Circuit. If you hire an attorney to appeal your case, a notice of appeal must be filed within 30 days in state court, or 10 days in federal court. After the notice of appeal is filed, the clerk of court prepares a record on appeal, which includes all of the motions, pleadings, and transcripts of your case. You are hiring a lawyer to carefully review every aspect of your case, including challenges to rulings on pretrial motions, ruling at trial, whether the evidence at trial was sufficient, and challenges to the judgment and sentence imposed by the court. Once the first rounds of appeals (called direct appeals) are over, you can pursue certain post-conviction motions. If you need more information about post-conviction motions in Tampa, FL, then contact an attorney at the Sammis Law Firm. We also represent clients in criminal restitution hearings after the conviction. The sentence in your case exceeded the maximum punishment allowed by the legislature, or your sentence was improperly enhanced as a Habitual Felony Offender or Prison Release Re-offender. A longstanding principle of appellate law, sometimes referred to as the “tipsy coachman” doctrine, allows an appellate court to affirm a trial court that reaches the right result, but for the wrong reasons so long as there is any basis which would support the judgment in the record. Robertson v. State, 829 So.2d 901, 906 (Fla. 2002). While the appeal is being pursued, an experienced attorney can seek a bond pending appeal. In arguing for a bond pending appeal we show the court the reasons that bond. Those reasons are based on the merits for the grounds for the appeal. The court will consider those grounds to see if the alleged errors are open to debate because reasonable questions exist. The first issue for the court to consider is whether there is good faith for the appeal and whether the issues presented are fairly debatable. An appeal bond will probably not be granted if the trial court determines that the appeal is frivolous. Not all cases are eligible for an appeal bond because certain statutory exclusions exist. Under Florida Rule of Criminal Procedure 3.800(c), you may file a motion asking the trial court to reduce or modify your sentence, but there are very strict guidelines for when such a motion must be filed and heard. The motion to reduce or modify sentence must be filed within 60 days of the sentence being pronounced or within 60 days after a mandate is returned after your direct appeal. The court must rule on the motion within 90 days after the motion was filed, although the parties can agree to extend that time period or the court can extend the 90 day time period for making a ruling on a timely filed motion to reduce or modify the sentence. A motion to withdraw your plea may be filed both before or after the sentence is pronounced under Florida Rule of Criminal Procedure Rule 3.170. For a motion to withdraw your plea filed before sentencing, Rule 3.170(f) may allow the defendant to withdraw his plea for any reason, however, the court shall allow the defendant to withdraw his plea if the defendant can show “good cause” for the request. For a motion to withdraw your plea after sentencing, the motion must be filed within 30 days of sentencing. The legal standard for a motion to withdraw your plea after sentencing is that you must show that a “manifest injustice” has occurred. It is obviously harder to withdraw a plea after sentencing than before. If the thirty days for filing a Rule 3.170 motion have lapsed, you may still file a motion to vacate the judgment and sentence under Rule 3.850. A defendant has two years from when his sentence becomes “final” in which to file a motion. Typically, that means you have two years plus thirty days to file if no appeal was filed, or two years from the date the appellate court issued the mandate if a direct appeal was taken. Under Rule 3.850, the most common claim raised is ineffective assistance of trial counsel. If a defendant can show that his trial attorney’s actions were deficient and that he was prejudiced by this deficient behavior, he may be able to withdraw his plea or have the results of the trial overturned. Typically, you only have one opportunity to file a Rule 3.850 motion. Under Rule 3.800(a), a motion can be filed to correct an illegal sentence. This motion is only successful if the illegality of the sentence is apparent from the fact of the record. In other words, no additional evidence or testimony can be presented. The most common 3.800(a) issues involve mistakes made in showing classification as a habitual felony offender, mistakes on score sheets, and mistakes made in determining credit for time served in jail. If you or a loved one need an experienced Appellate Attorney for a direct criminal appeal or other post-sentencing options, contact the Sammis Law Firm, P.A., for a free consultation. We represent clients in direct criminal appeals in Hillsborough County, Polk County, Pasco County, Pinellas County, and the surrounding areas throughout Florida. 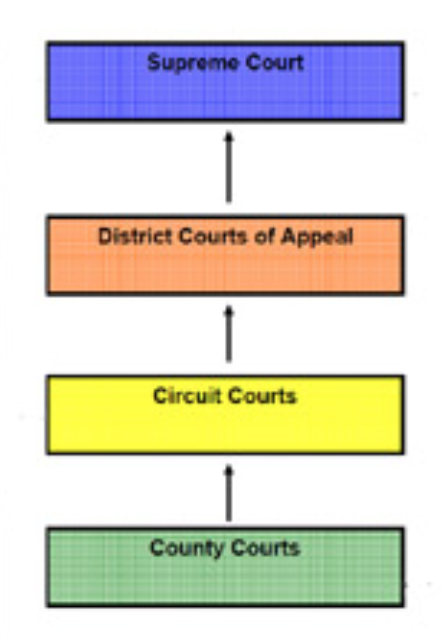 Under the administrative procedures for appeals in Hillsborough County (see Administrative Order S-2016-062, effective December 20, 2016), upon the filing of a notice of appeal from a county court criminal division, the clerk will designate a sequential case number and assign the appeal to a standard division in the Circuit Criminal Division based on an even distribution. Petitions involving custody of minors who have not been charged as adults will be assigned to the Juvenile Delinquency Division. Petitions filed under the provisions of “The Baker Act” will be assigned to the Probate, Guardianship, Mental Health and Trust Division. Appeals involve asking a higher court to review a decision by the lower court for errors. Decisions from the county courts in misdemeanor cases are appealed up to the circuit court. The bulk of trial court decisions in felony criminal cases that are appealed are never heard by the Supreme Court. Rather, they are reviewed by three-judge panels of the district courts of appeal. For instance, appeals from the circuit court in felony cases are appealed up to one of five (5) judicial districts which each have a District Court of Appeal. For instances, a felony criminal case prosecuted in Hillsborough County is appealed up to the Second District Court of Appeals. In some cases, a decision of the District Court of Appeals is appealed up to the Florida Supreme Court. Appeals taken from the federal trial courts go up to the United States Court of Appeals, Eleventh Circuit. Appellate Practice Section of the Florida Bar – The Appellate Practice Section of The Florida Bar has more than 1,700 members who practice in Florida’s state and federal appellate courts. The top appellate attorneys are members of the appellate practice section include civil and criminal lawyers, plaintiff and defense lawyers, and others interested in the process. The section helps appellate attorneys improve their practice by providing continuing legal education seminars and disseminating materials on matters of interest to the membership, and through the exchange of ideas among the membership. The appellate practice section provides resources such as the pro se appellate handbook for Florida and a list of definitions important to appellate practice and procedure. 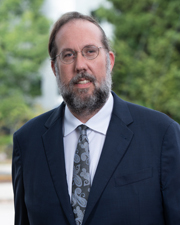 Unpreserved Issues in Criminal Appeals – Visit the website of the Appellate Practice Section of The Florida Bar to find a scholarly article by Richard J. Sanders published in the Florida Bar Journal in the July/August edition in 2002. The legal article explains problems with unpreserved issues in appeals brought by criminal defendants. Find out why the appellate courts in Florida recognize three exceptions to the general rules of preservation which include fundamental error, ineffective assistance of trial counsel, and cumulative error. Criminal Appellate Courts in Florida – Visit the website of the Florida Courts to find out more about the District Court of Appeal which provides a review of decisions of lower tribunals by multi-judge panels. Appeals correct harmful errors to make sure decisions are consistent with our rights and liberties. This appellate process helps with the development, clarity, and consistency of the law. Florida currently has five appellate court districts and one district court of appeal (DCA) serving each district. Those five districts are headquartered in Tallahassee, Lakeland, Miami, West Palm Beach, and Daytona Beach. 2016-17 Statistical Reference Guide to Circuit Criminal Cases in Florida – Visit the Florida Office of State Courts Administrator to find statistics on circuit criminal cases in Florida. For statistical purposes, criminal offenses prosecuted in circuit court are divided up into one of five categories including capital murder, violent crimes, crimes against persons and crimes against property. Find a chart showing the total number of criminal filings and dispositions from 2005 through 2015. Also find a breakdown of circuit criminal filings statewide by category, case type and month. Find circuit criminal filings by category, circuit, county and case type. Find definitions for the term post-conviction relief motion, probation revocation hearing, bond hearing and adversary preliminary hearing. The criminal defense attorneys at the Sammis Law Firm represent men and women in direct appeals after a conviction for any felony, misdemeanor or DUI conviction. Our criminal appellate attorneys in Tampa, FL, also represent clients found to be in violation of their probation after a hearing in a felony or misdemeanor case. We are ready to talk with you about the case. Strict time limits are imposed in these cases so talk with an attorney as soon as possible about the options. Our appellate law firm handles direct criminal appeals throughout Florida including the greater Tampa Bay area including Tampa in Hillsborough County, Dade City and New Port Richey in Pasco County, Brooksville in Hernando County, St. Petersburg and Clearwater in Pinellas County, and Bartow in Polk County, Florida. Contact our Florida appellate attorneys today to discuss any direct appeal from juvenile court or adult court, or any post-conviction motion in a criminal case.